There are so many ways to help in the fight to end cancer! Your support and involvement empowers The Leukemia & Lymphoma Society to achieve our mission to cure blood cancer. Volunteers: Our partners in the crusade to end blood cancers. In October 2017, we launched LLS Lifestyle, a new way to raise funds for LLS. This new peer-to-peer fundraising platform enables LLS supporters to get creative and start their own movement. With LLS Lifestyle, every activity or passion is an opportunity to fundraise for LLS – from bake sales and birthday parties to spin class challenges and video game tournaments. The options are limitless! This year, LLS Lifestyle participants took their creativity to new heights. Among the highlights: The Bob Ross Challenge inspired anyone with a paintbrush to raise funds for LLS in honor of the beloved painter, art instructor and television host, who passed away from lymphoma. Other campaigns included multi-day mountain bike rides across South Africa, birthday fundraisers and charitable wedding registries. Get your business involved in saving lives! 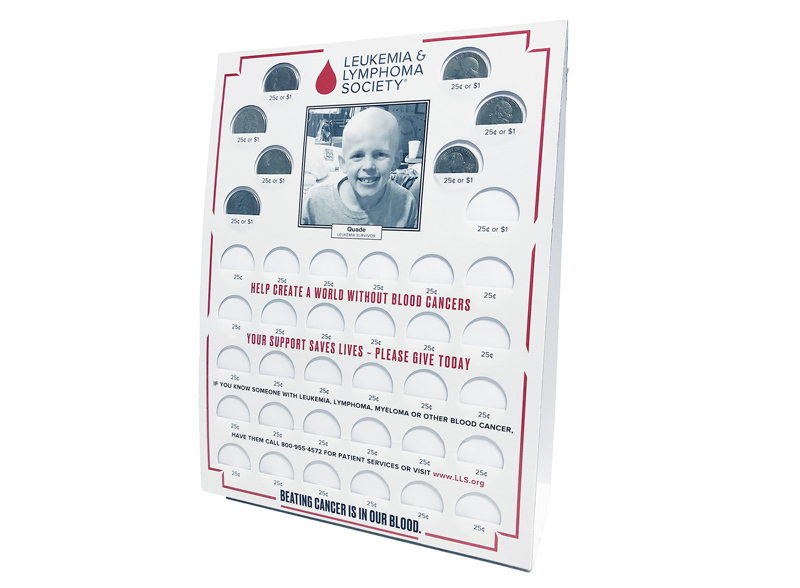 Sign up today to help raise money in your community by placing an LLS Coinboard at your retail location. The program is easy and runs itself. Just place the Coinboard in a prominent location and ask all of your customers and friends to donate their spare change. When the Board is full, simply return the slip along with a check payable to the Leukemia & Lymphoma Society in the reply envelope which you will receive with your Board. It’s that simple! Join the 50,000 businesses who support LLS annually in this important fundraising campaign. To get your free Coinboard, fill out a request here or call us at (800) 462-7831. Play a critical role for LLS in your very own neighborhood by signing up today to be an annual Neighborhood Drive campaign volunteer. All you need to do is send your neighbors and friends a preprinted letter requesting that a donation to LLS be sent back to you. When you collect the donations, simply forward your collections to LLS in the self-addressed envelope that's provided in your campaign kit. It's that easy! With a little bit of effort, and a few stamps, you can make a big difference! 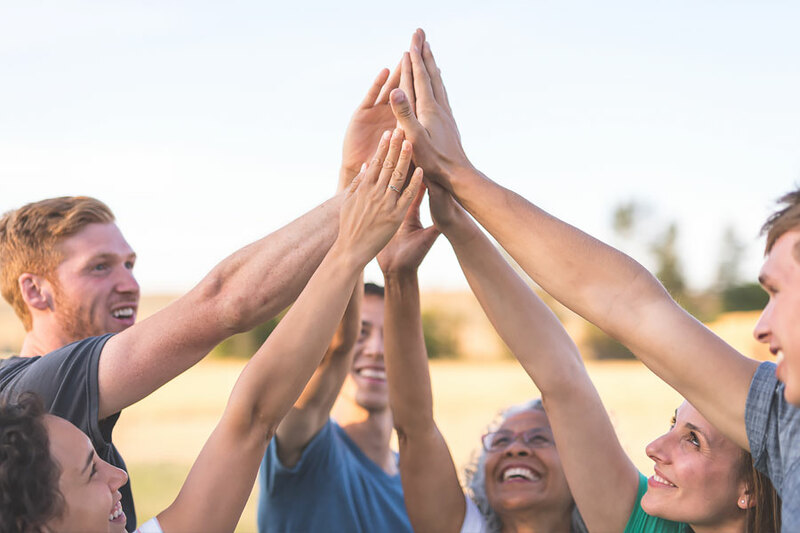 Join the group of more than 1 million volunteers and donors annually who make an impact on research, education and patient services. 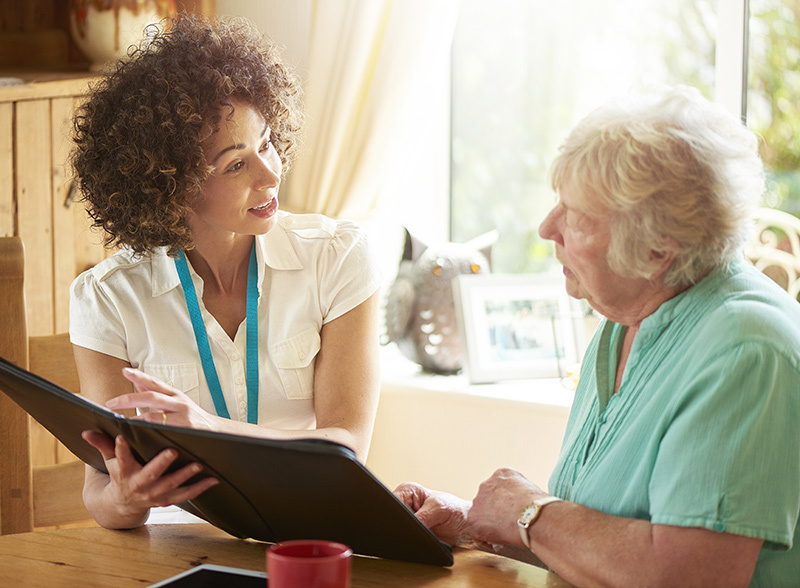 To get your Neighborhood Drive kit, fill out a request here or call us at (800) 462-7831. For 35 years, USA BMX (formerly the American Bicycle Association) has held Race For Life events throughout the country to raise more than $3.9 million for LLS. BMX riders and tracks began the race in 1981 in memory of Todd Kingsbury, a young bicycle motocross rider from Michigan who lost his fight against leukemia. Since then, USA BMX has continued to support LLS in our mission to find cures for blood cancers. BMX riders in Race for Life events can raise funds online to benefit LLS and earn additional points towards their standing in overall USA BMX race participation. For more information, visit USA BMX or contact Marty Siederer, Senior Director, Campaign Development, at (914) 821-8954 or marty.siederer@lls.org. View the Race For Life schedule. See how one young BMX rider's battle against leukemia has inspired other BMX racers to support LLS’ mission. LLS partners with radio and television stations throughout the country to develop and support media events that provide awareness for our goal to cure leukemia, lymphoma, Hodgkin's disease and myeloma. Our partner stations provide an invaluable community service for their audiences and are recognized as leaders in supporting charitable causes. To find out how your station can join the family of stations and media outlets supporting LLS, contact Pamela Edelstein, National Director, Media Fundraising Events, at (914) 821-8848 or Pamela.Edelstein@lls.org.